The two famous traditional cloths produced in Solo are batik and lurik. Batik is an important icon of Indonesian culture. 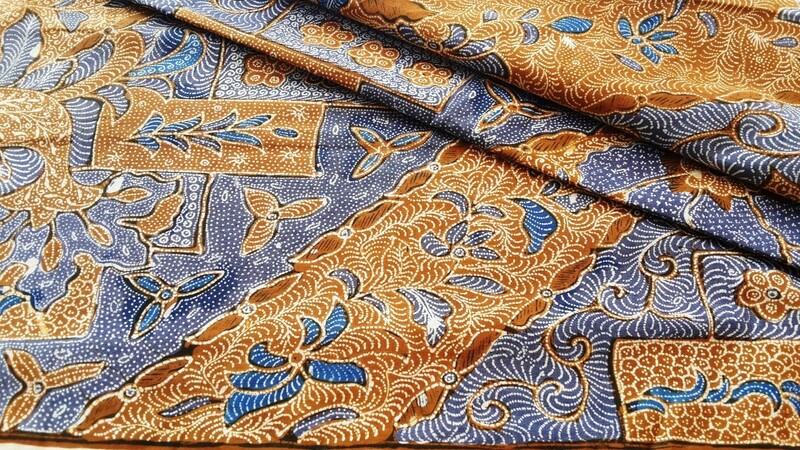 The batik which comes from the areas around Solo and Yogya is known as court batik. Traditionally the colors used in this batik are blue to symbolize earth, brown to symbolize fire and white to symbolize air and water. Batik Solo uses sogan (chocolate brown) on a pale yellow background. If you’re shopping for batik in Solo try Pasar Klewer, a textile market with a bewildering array of batik. Prices here can be almost half what you would pay in a store. The selection of prints on sale can be overwhelming so remember to keep focused on exactly what you want. It is best to go shopping here as early as you can as it gets hot and crowded quickly.